Legends, like mountains, can seem insurmountable. But they are not. Famously meticulous, the late filmmaker King Hu is frequently referred to as “the Stanley Kubrick of Taiwanese cinema”. Having directed only twelve films over a thirty-plus year career, several revered as all-time greats, Hu no doubt earned the comparison, at least to some degree. 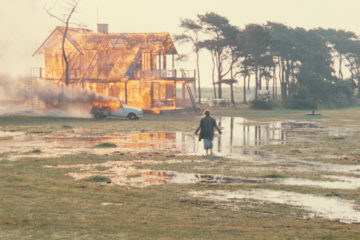 With backgrounds in production design and screen acting, Hu is said to have made life both horrible and joyous- “but mostly horrible”- for his pushed-to-their-limits film crews. But, with his flair for national throwback tropes and a pioneering flair for the spectacular, there is another iconic filmmaker that Hu evokes- American “ Father of Film”, D.W. Griffith. Like Griffith, Hu insisted upon working in an idiom that to many, seemed old fashioned at the time. Yet, also like Griffith, Hu innovated all the while. 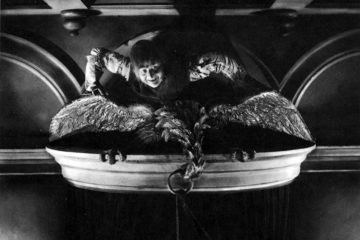 Hu’s films wield both an exquisite sense of the uncanny, and an uncanny sense of the exquisite. 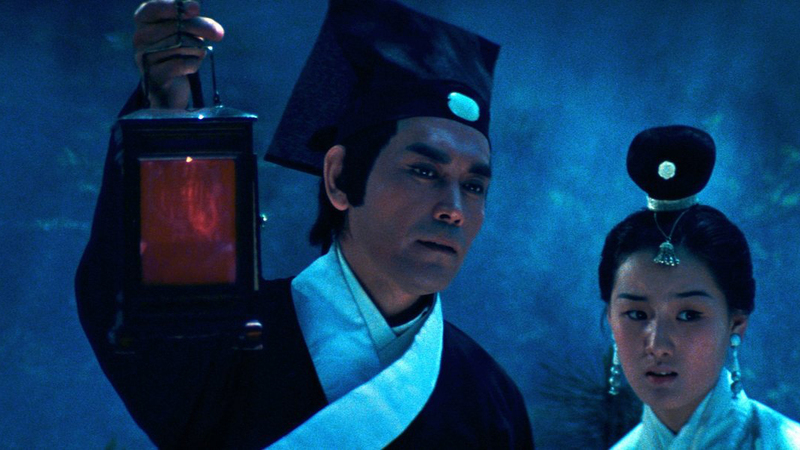 In the film historian-centric bonus videos on the new Blu-ray of Hu’s heretofore overlooked Legend of the Mountain, it’s pointed out by both Tony Raynes and Travis Crawford that the filmmaker remained enamored with a particular style of wuxia storytelling long after it was de rigueur. By the 1970’s, when Hu had firmly transitioned from leading actor to important director, the Hong Kong film scene had also transitioned… into Bruce Lee-inspired violent Kung-fu stories. Swords and Ming dynasty nobility – the movies Hu liked to make- were passé at the box office. Consequently, Hu had the hardest of times getting new movies made. That Touch of Zen touch could only sling him over so many treetops. Zen (1971) worked some career magic for him at the 1975 Cannes Film Festival, picking up a Technical Grand Prize, and nudging the briefest of career boosts for Hu. But today, even that, his most popular and celebrated film, remains relatively unknown in the Western counties. Even being a primary inspiration to Ang Lee’s Crouching Tiger, Hidden Dragon (2000) did little to teach us who Hu is. 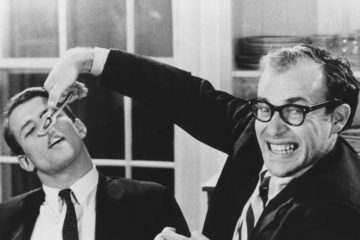 Two years ago, A Touch of Zen received a high profile release from THE quality standard bearer for home video labels in North America, the Criterion Collection. With striking cover art and a heretofore rare HD Region One glimpse at the work of King Hu, his 200 minute “masterpiece” was met with new acclaim and admiration. The Criterion release of A Touch of Zen is relevant to this review only insomuch as Kino Classics’ new edition (sharing branding with UK high-end imprint Masters of Cinema) of Legend of the Mountain looks exceptionally better. 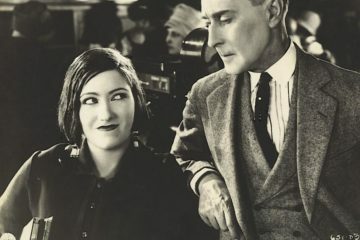 This is no small matter, as its widely speculated that the scratched, faded and hacked-to-ribbons condition of the 1979 film widely seen until now contributed to its perpetual also-ran status; forgotten, dismissed, and generally regarded as a lesser work. Kino Lorber also provides a glossy essay booklet (essay by novelist Grady Hendrix) and truly classy reversible cover art. At best, this stunningly restored re-issue will go the distance, earning Legend of the Mountain an esteemed place in the filmography of its maker. At the least, we’ve got a solid Blu-ray of a most interesting and sometimes arresting adventure story. 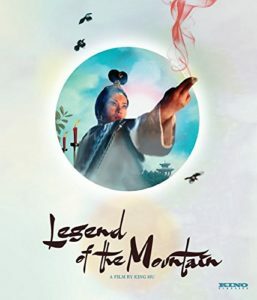 In a twist against his norm, Legend of the Mountain takes place during the earlier Song dynasty. In even more of a twist, it turns out to be a supernatural ghost story, gothic on the level of most any great Hammer horror picture. In the course of its decompressed 191 minutes, Legend tells the tale of a young, unassuming scholar (played by Hu veteran Chun Shih- Dragon Inn; A Touch of Zen) who accepts the job of translating a batch of divine sutras. Although implored by the monk who hired him to take great care, as these sutras are supernatural in nature, the scholar, being a non-believer, shrugs it all off, as he’s only in it for the money. He soon sets up in a remote shelter in the mountains, where he can concentrate on the job at hand. Except, he cannot. A strange but friendly enough family happens along, and next thing he knows, our bookish protagonist awakens engaged to their grown, beautiful but ultimately treacherous daughter (the striking Feng Hsu, another Hu veteran of A Touch of Zen). She is manipulating her way to the sutras, but is challenged by a powerful lama with a golden robe and an exploding hat. Also helping out is a mysterious young woman (Sylvia Chang- Mountains May Depart) who literally appears and disappears arbitrarily, before finally revealing herself as a truly sympathetic spirit. Though the King Hu hallmark of gravity-defying characters hurling themselves at one another in battle in ancient martial arts combat is present here for one show-stopping showdown, there’s markedly less of that sort of thing than is found in the director’s more famous films. Because, it turns out that this is a ghost story. There’s no tidy punchline, except that he is indeed there, in every sense. Hu’s films wield both an exquisite sense of the uncanny, and an uncanny sense of the exquisite. In his world, nature is vast, yet fog will always persist in devouring it. Period detail is never forsaken, and no one ever truly meets their match. Buddhism is both celebrated and utterly rendered mystical beyond all measure. There’s much to absorb with Legend of the Mountain– but there’s plenty of time to take it all in.